Nokia is the world`s largest mobile phone manufacturer, consistently out-selling its rivals over the course of many years. It has not earned this title lightly, as it has managed to cater to every niche in the market and even invent a few of its own. As such its mobiles appeal to the gadget fiend and the mainstream user alike. The N Series phones are at the top end of Nokia`s line up and over the years they have built up a large following, with new handsets arriving regularly to refresh the range. Here is a quick overview of the N Series Nokia phones that are on the market today. The Nokia N900 arrived at the end of 2009 and it was the first N Series handset to sport the Maemo operating system rather than the Symbian platform of which Nokia has been a patron in the past. The N900 represents a significant shift in the N Series in more ways than one, as its tablet style design marks it out as a serious mobile internet machine rather than a commonplace smartphone. The 3.5 inch touchscreen display is supplemented with a full QWERTY keypad hidden underneath and it has all of the hardware features that mark it out as a powerhouse. The main problem with the N900 is that its software and hardware is unlikely to appeal to the same audience that might go for something like the iPhone. It is a little too tech-heavy, but in the right hands it can be the perfect tool for mobile browsing. The Nokia N97 joined the N Series last year and it stuck to the Symbian platform of its predecessors, although it underwent some significant work in order to make the touchscreen interface operate accurately. This overhaul involved adding live widgets to the homescreen, which can be updated with information from social networking sites and messaging services without you having to open individual applications. This was quickly copied by many rivals and made the N97 something of a trend-setter. Few rivals chose to copy its angled, slide-out QWERTY keypad, although this was a boon for fans of messaging as it means you would be able to type fast without relying on the virtual keypad onscreen. 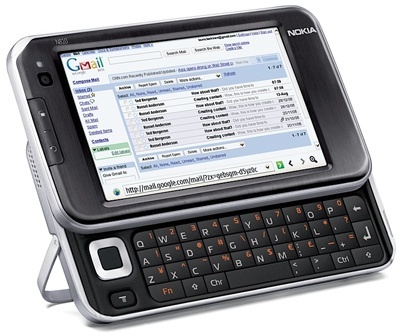 The N97 was resized and released as the Mini later, with the smaller screen and less onboard storage representing the only major changes. It still possesses the five megapixel camera and wealth of software used by its big brother, making it a more pocketable alternative. When the Nokia N8 arrives it will represent yet another shift in the N Series line up, because it is set to make use of the brand new Symbian 3 operating system. Gone are the slide-out keypads of its predecessors, replaced with a touchscreen interface and a powerful new array of hardware. Its most interesting feature is the 12 megapixel camera mounted on the rear, which can take stills and record video in high definition. Critics are concerned that the N8`s software will not go far enough to make it competitive against the likes of Android and the iOS, but hopefully it will be cheaper than rivals, benefiting from mobile phones deals and an attractive price point.